From Ancient Art to Modern Molas: Recurring Themes in Indigenous Panamá was curated by University of Miami students supervised by Traci Ardren, Associate Professor of Anthropology. It is the fifth installment in the series, ArtLab @ The Lowe, which provides hands-on museum experience to students, who curate an exhibition from the conceptual state to the final installation. The colorful textiles known as molas are famous for the rich stories they tell about traditional Guna life. 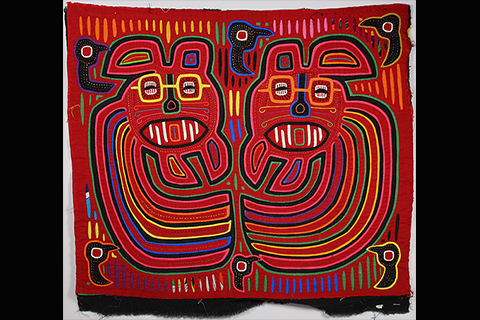 Made for over one hundred years by native Guna women of Panama, molas are hand-stitched cotton panels and blouses made of multi-colored and multilayered cotton cloth. Guna women make molas as an expression of their identity and as a way to generate income. The designs derive from aspects of traditional indigenous life along the San Blas islands; stingrays, crabs, and other marine life are popular imagery as are the activities of daily life. Sometimes the designs are highly abstract with obvious connections to designs found on the pre-Columbian pottery of Panama. The 2013 ArtLab class will explore connections to be found within the large mola collection of the Lowe, the pre-Columbian pottery of the Coclé culture, and modern Panamanian artists. 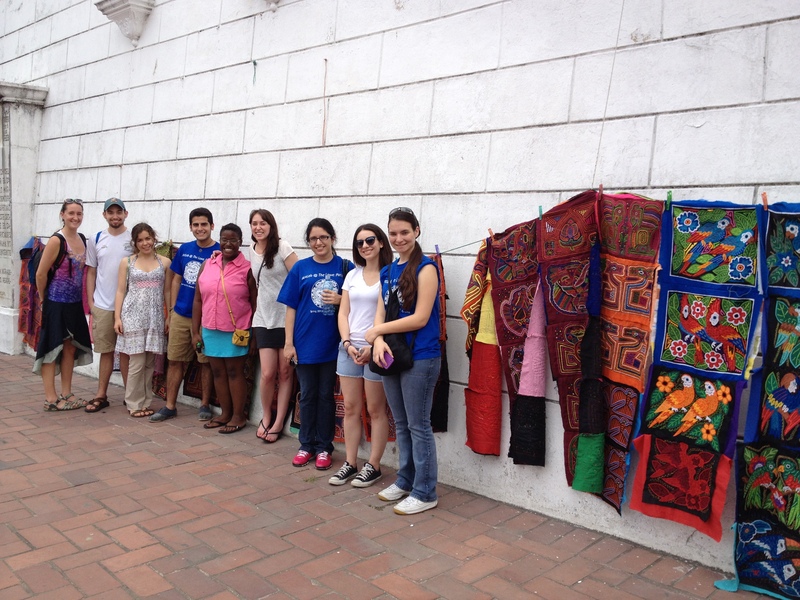 Students will discover Panama through an expedition into many of its most important artistic traditions.